Elliott Hotel A Good spot to meet locals good for info on area, clean, good meals garden area at back. ... and according to Lance also a great spot Telstra connection. 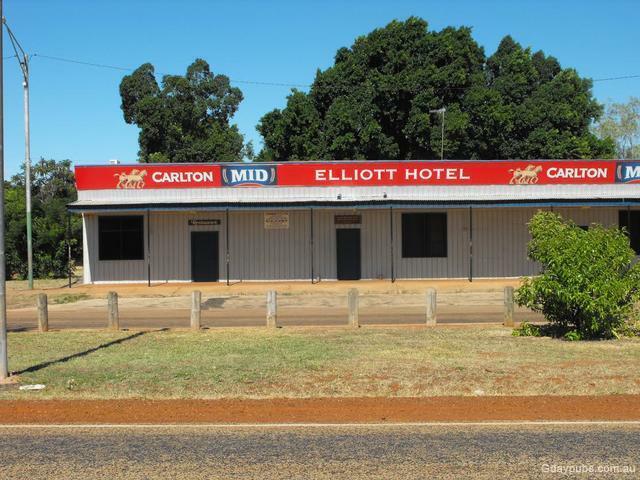 The town of Elliott is about halfway between Darwin and Alice Springs, and 250 kilometres north of Tennant Creek. The town was named after Lieutenant Snow Elliott, the officer in charge of an army staging camp in the area during World War II. The traditional name for Elliott is Kulumindini, and the town lies on important Dreaming tracks.